Hi all! 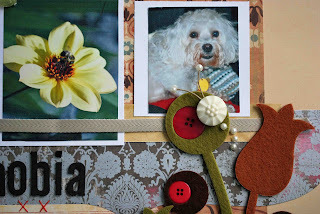 I have a fun announcement, I'm going to be on the Paper Garden Projects DT! Cathy has beautiful stamps, so check it out. Can't wait to get started! I will be adding links to my fellow DT members soon! OK I've got a LO to share with you. 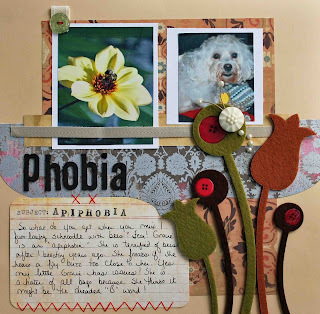 My sweet doggie Gracie has Apiphobia, do you know what that is? Fear of bees! She hates them since she got stung on the foot once and even her eyes swelled. So I did a LO dedicated to her fear of bees. Take a look at my little bee sitting on top of the flower. I made it using a button, twine, and pearls. Fun! And guess what, I won Twilight blog candy from my DT buddy Margie! I even won fake vampire teeth, hehe! Blog candy doesn't get any better than that! You'll never believe it! 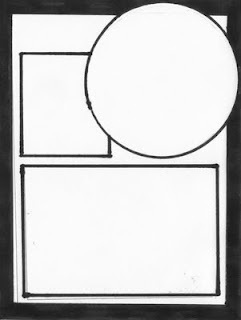 I actually finished my card for the 2 Sketches 4 You challenge this week. I just love how a card starts out as one thing and turns into something totally different. That happens to me a lot! 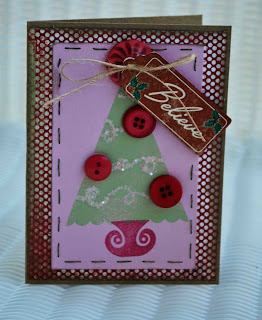 I used Papertrey Ink cardstock with Imaginescence & Melissa Frances patterned paper. I stitched around the patterned paper. 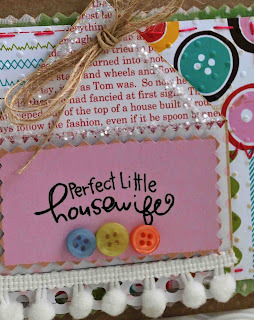 I used my Spellbinder Nestabilities; PTI Stamp, Ink, Button, and Twine. I used a Melissa Frances Sticker. And the big glittery pink swirl is Pebbles Inc. Chipboard. I also used my Fiskars punch. Hi everyone! 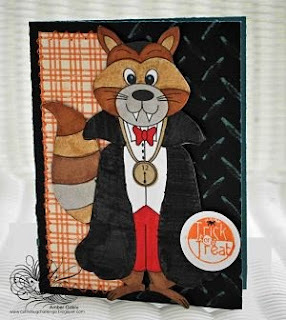 Time for a new challenge at Die Cuts R Us! This week the challenge is to make a "male" themed project. 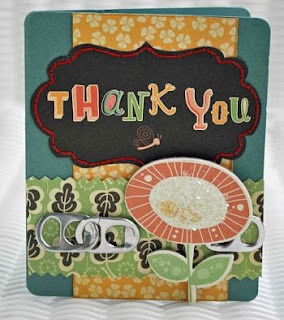 The DT used Cosmo Cricket - Boyfriend paper and embellishments which you can find at the Die Cuts R Us Store. I loved playing with the Cosmo Cricket goodies this week. This line is so fun! I made a masculine notebook that Hubby & I could both jot down notes in. For some reason he doesn't like glitter and flowers and pink : ) I made this using Cosmo Cricket paper and embellishments from Die Cuts R Us. 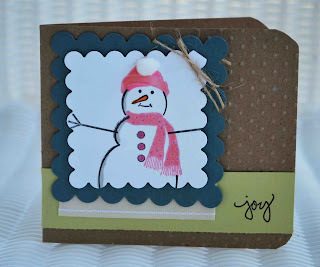 I also used paper, twine, ink, and stamps from Papertrey Ink. 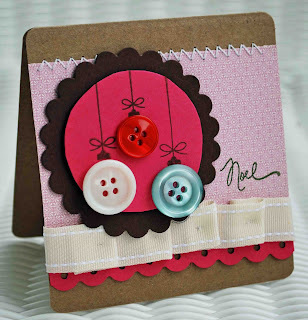 I also used my Cuttlebug + Swiss Dots Folder and Spellbinder Nestabilities. 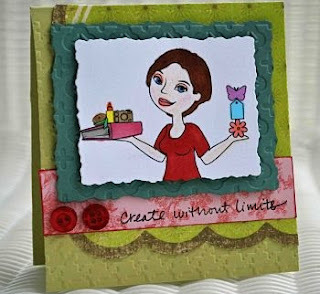 Visit DCRU DT Blog to see the DT's darling creations this week! And be sure to play along! 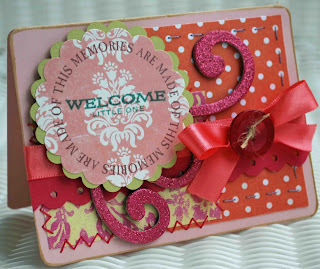 I used Papertrey Ink Cardstock in chocolate and raspberry fizz. 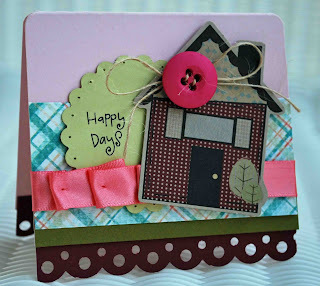 I used The Paper Studio kraft cardstock. 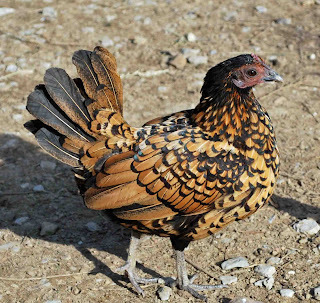 I used New Leaf ink from PTI. 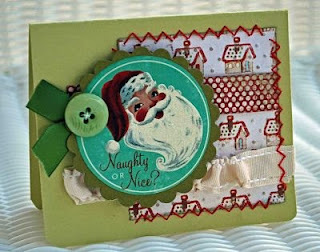 And I used their new Holiday Button Bits and Signature Christmas stamps. I used PTI vintage buttons and vintage cream ribbon. Plus my Cuttlebug & Spellbinder Nestabilities, and Fiskars punch. 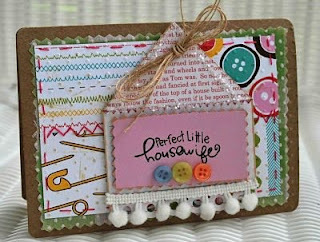 This little card was so easy to make and I just love all the colors together! I just tacked the ribbon to the card at the ruffle, didn't even sew all the way across. So easy! 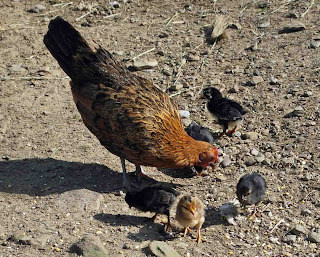 Now my newest baby chicks. 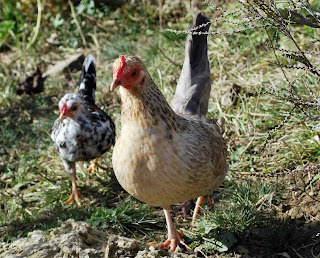 Yes my chickens are crazy, it is way too late for chickens to be hatching babes...but mine hide and lay eggs, then set on them....and before you know it we have chicks again! It's time for a new challenge at Cuttlebug Challenge. Last week the DT got the week off to work on some special projects and we had Guest Designers. This week the DT is back with some "Fally" creations! 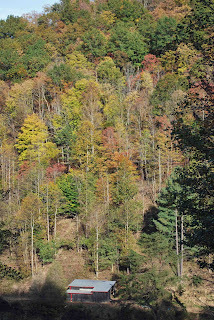 It's challenge day at the DCRU DT Blog! 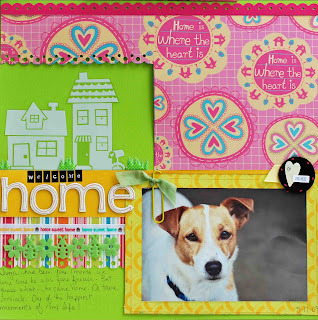 This week we got to play with the new Cosmo Cricket Earth Love paper and chipboard! I just love it and it's on sale till Saturday at the DCRU Store for 35% off the regular price. 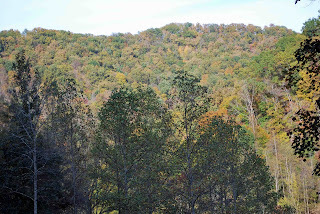 This week is one of my favorite yet, create an Earth Friendly Project. Let your imagination run away! 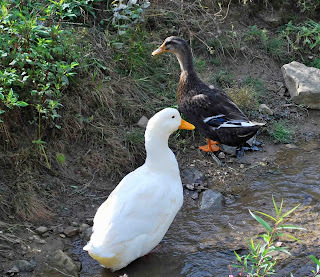 You can use earthy papers, encorporate things from nature, or let your project have an earthy meaning. Whatever you think of, do it! There's no wrong answer. 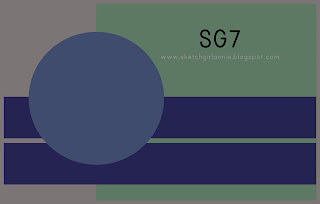 It's time for a new challenge & a new sketch at Sketch Girl! I've had such an amazing time being a Guest Designer there. I adore the sketches and the DT is wonderful! I used products by Papertrey Ink, Creative Imaginations, My Mind's Eye, and my Spellbinder Nestabilities. And be sure to submit your take on the sketch to Sketch Girl! Tune in tomorrow to see more!!! 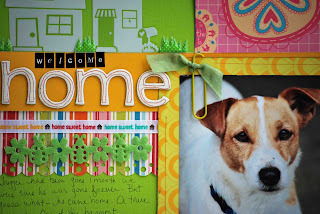 Time for a new challenge at the Die Cuts R Us DT Blog! I had soooo much fun working on this week's project. 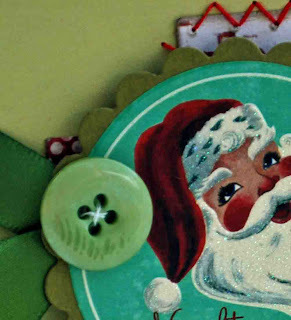 The challenge is - make your own embellishment! I can't wait to see what everyone makes, I'm sure to get all kinds of scrappy inspiration. This week our host is the fabulous Margie! The DT all used the "Craft Fair" Collection from American Crafts that can be found at the DCRU Store for purchase. All crafters will want this paper! 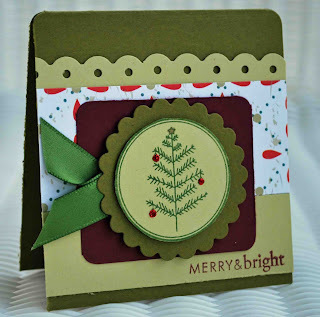 ...a Jenni Bowlen Die Cut that I glittered around the roof, added Pom Pom ribbon to the bottom, Twine from Papertrey Ink, and a Melissa Frances Rub-On. 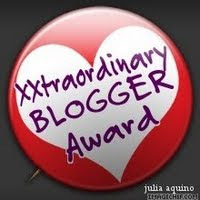 And I wanted to share an award that my super buddy Sammye Jo gave me. Check out the DT's amazing creations at the DCRU DT Blog! We always said he had "9 Lives"! 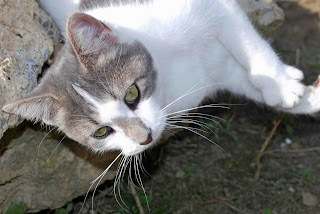 He's had reactions to flea meds, went missing for 1 month, was always getting into trouble and mischief....But that's what made him Trigger. 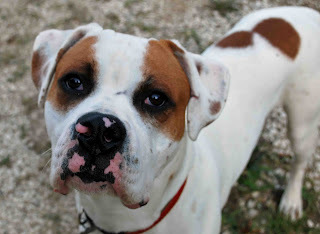 He had been in the family for 4 1/2 years. I'll never forget the day Matt's Cousin brought him to my back door. He was sooooo tiny and I slid him down in the front of my coat and held him the entire evening to keep him warm. He was a sweet little dog and I sure will miss him! 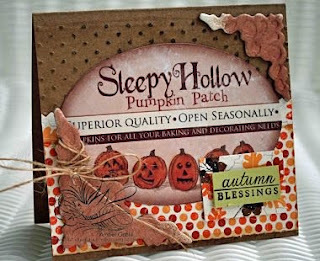 This week's challenge is to make a Autumn or halloween card using your Cuttlebug. The DT was sponsored by Digital Delights. I got to play with their digi stamp Dracula Ridley and I just love him!!! I used paper from Core'dinations and Papertrey Ink. I handstitched around my patterned paper. I used Just Rite stamps, Martha Stewart Ink, and Copics. And I used my Cuttlebug & the Diamond Plate. Now it's time to go visit Cuttlebug Challenge and see the amazing DT projects this week! 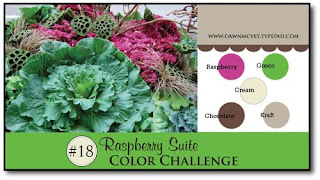 This week DCRU is having a color challenge! Use your markers, paint, chalk, even crayons to make a colorful project...And be entered for a chance at a free stamp! Our host this week is the very talented Jessica (have I mentioned she has her own stamp set - isn't that neato?). I used My Mind's Eye, EK Success, and Papertrey Ink paper. I also used Copics and Papertrey Ink stamps. I added a few buttons and inked the edges with Martha Stewart Ink. 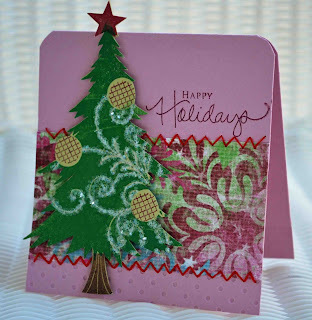 I used my Cuttlebug with the Houndstooth embossing folder and Spellbinder Nestabilities. Go check out the amazing work from the DT!!! Hope you play along! And don't forget the BIG Copic sale is still going on at the Die Cuts R Us store! So if you've been wanting to add to your Copic collected now is your chance! Today is a holiday for the crafters!!!! 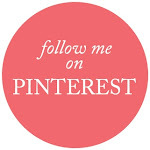 Check out all the fun at Moxie Fab World. And there's a BIG sale going on at Die Cuts R US! All of you Copic Lovers need to see it to believe it!